LA & Orange County's Best Sales, Service and Repair for golf cars. Need help with battery maintenance? We may service your area, so please call for more information. 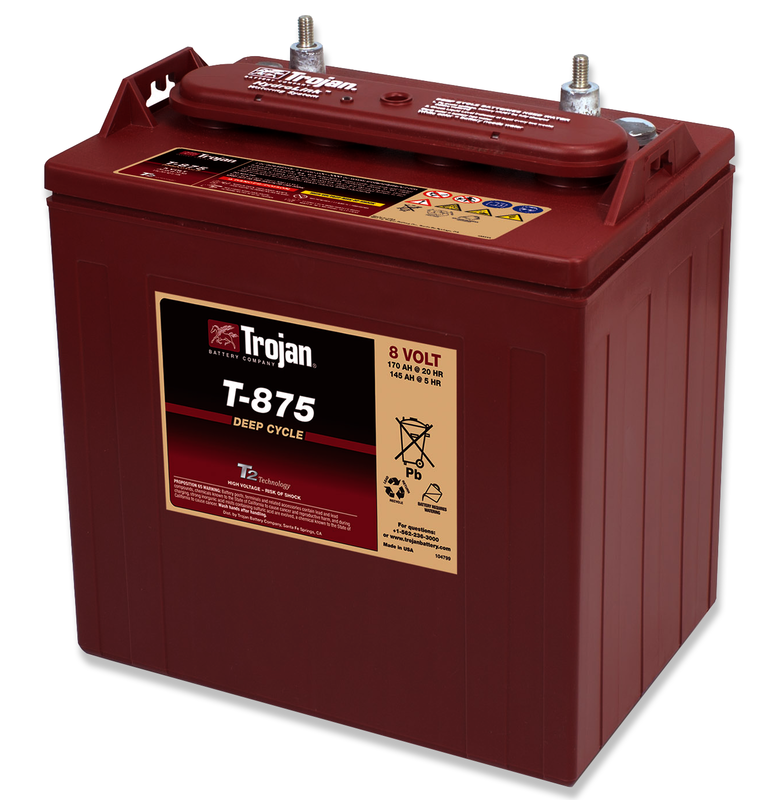 Getting the right battery for your golf car is important. 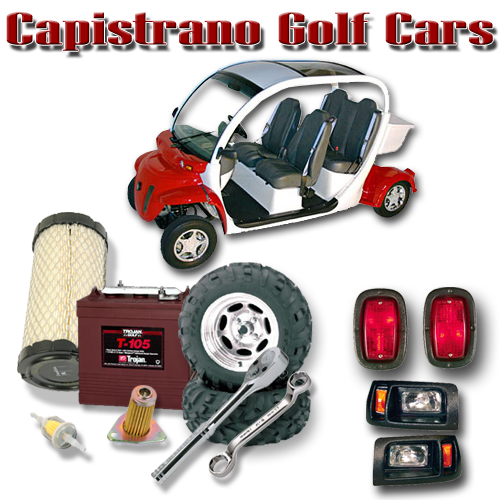 Capistrano Golf Cars will help you find the best golf cart battery to use with your Golf Car. Has your golf car slowed down? Does it seem sluggish? Maybe it's time for a new set of batteries, or maybe one needs to be replaced. We can help by testing each battery and diagnosing the problem. We can set up a maintenance schedule to get the most out of your golf car batteries. 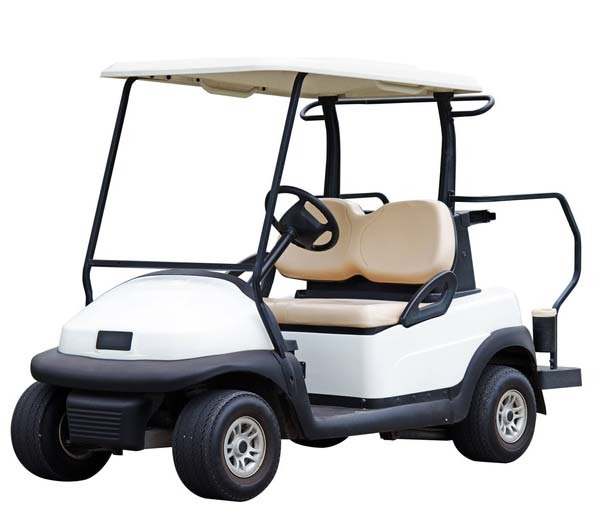 Golf Car batteries require a deep-cycle battery in order to provide long life and longer ranges. We can help you select and we can install the correct battery or batteries for your golf car. Give us a call, we can install on site or we can pickup you golf car for maintenance. Are you the type that likes to perform your own preventative maintenance to your batteries? *Always wear protective equipment, safety glasses or face shield and gloves. Check for cracks in the batteries, check the battery posts for damage or corrosion. Check cables for looseness or crackes in the outer coating on cables. 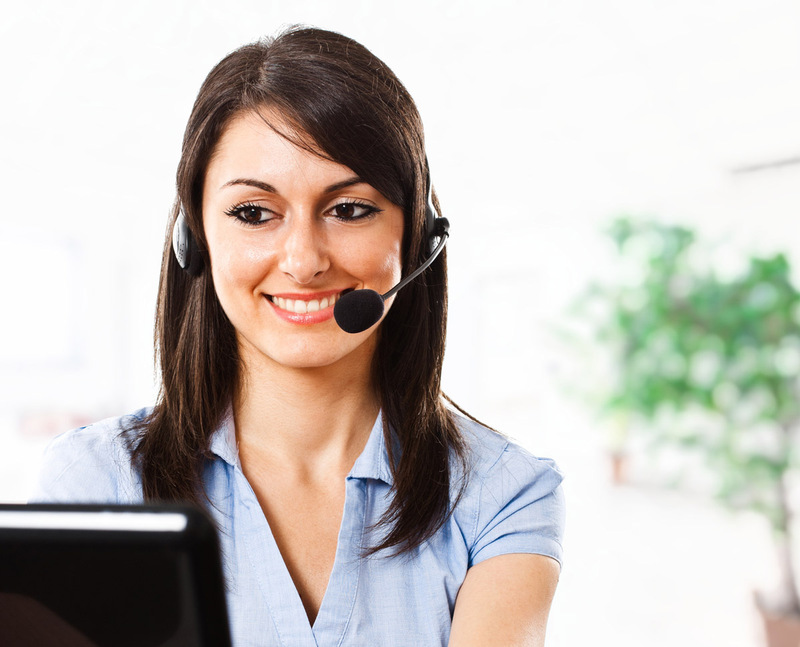 Replace any cables that are damaged or look worn. Check fluid levels, and add distilled water to the proper levels. Do not overfill as this can cause the acid to leak and the batteries to lose capacity. In hotter months or with more use, you may need to inspect batteries more often. Plates inside the battery should never be exposed and should always be covered with fluid, exposure can lead to corrosion of the plates and a diminished capacity for the battery. Clean the battery with a mixture of water and baking soda on a dampened cloth. While cleaning prevent any fluid or cleaning solution from entering the battery. Rinse batteries with clean water and dry with a clean cloth. Clean terminals, dry and reconnect. The terminals will have a metallic shine. If you are unsure about how to clean or perform this type of battery maintenance we can schedule a monthly program for your company and perform this type of maintenance. This type of maintenance will extend the life of your batteries for your golf car. * Safety is very important, please use caution and always use safety equipment to prevent eye, skin or other injuries while performing maintenance to your golf car. This website and any materials provided by Capistrano Golf Cars (www.golfcars2go.com) are for educational purposes only. We are not responsible for any loss, injury, claim, liability, damage or consequential damage related to your use of Capistrano Golf Cars (www.golfcars2go.com) tips whether from errors or omissions in the content of Capistrano Golf Cars (www.golfcars2go.com) material or for any other reason. Use of Capistrano Golf Cars (www.golfcars2go.com) tips is at your own risk. You agree to accept full responsibility for determining the value for any use you make of Capistrano Golf Cars (www.golfcars2go.com) tips, and for using proper safety equipment while performing any maintenance on your golf cars. Capistrano Golf Cars (www.golfcars2go.com) expressly disclaims all warranties or liabilities of any kind, whether express or implied, including, but not limited to, implied tips, we recommend that battery maintenance is proformed by a certified mechanic or professional to prevent injury or harm. Capistrano Golf Cars (www.golfcars2go.com) makes no warranty that: (a) Capistrano Golf Cars (www.golfcars2go.com) will meet your safety requirements; or (b) the quality of Capistrano Golf Cars (www.golfcars2go.com) will meet your safety expectations while performing your own maintenance. We can pick up and deliver your golf cars. Accessories We have all types of accessories to customize your golf cars. 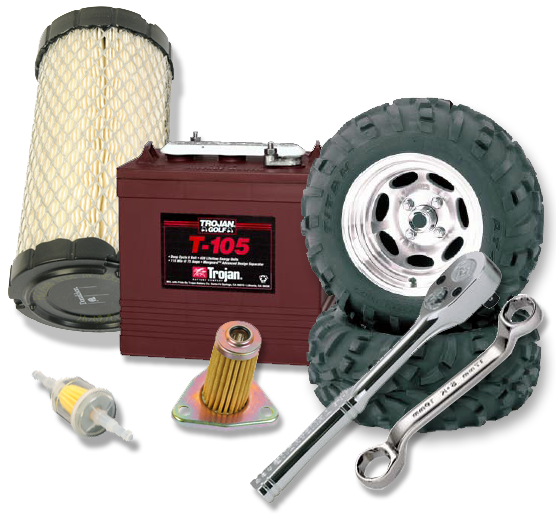 We carry wheels, tires, covers, lights, batteries and more.